It's a bird, it's a plane ... no it's Vector Tut Man! VectorTuts. 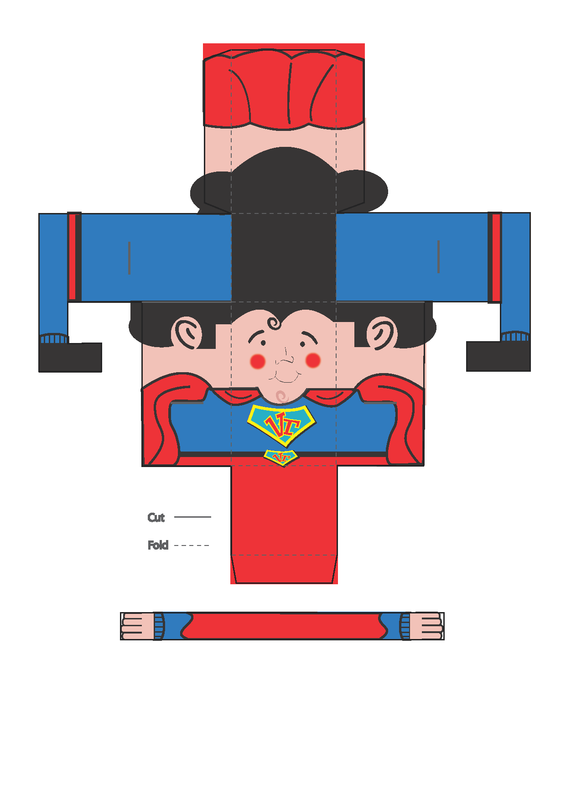 The idea was to create a paper toy using a pattern they provided. There are a lot of great ones that other people did on their facebook page. This little guy was created in adobe Illustrator.